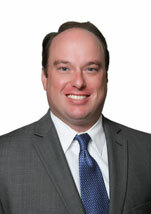 Jeremy’s practice is devoted to real estate development, environmental and land use law, and government permitting. Jeremy specializes in all areas of land development and construction, with a particular emphasis on CEQA, the California Environmental Quality Act. Jeremy’s experience covers the full spectrum of the CEQA process, including project planning, procedural requirements, drafting and review of CEQA documents, coordination with public agencies and interested parties, and litigation and appeals. Jeremy has advised and represented local, regional, and international clients in a wide range of settings, most recently spending two years practicing at the global law firm DLA Piper. Jeremy also spent several years representing public agencies, and is well-versed in the land use decision-making process. He brings that experience to bear in helping developers, institutional clients, and public entities navigate California’s complex permitting and regulatory laws. He also management of governmental relationships, strategy development and public outreach. In addition to CEQA compliance and litigation, Jeremy has significant experience with construction contract administration and claims, real estate transactions, eminent domain, California Coastal Act compliance, redevelopment, voter initiatives, affordable housing, and appellate law and practice. Represented the lead agency in Committee of 1000 v. Palm Springs Unified School District (2009) (unpublished). The Court of Appeal reversed a trial court decision blocking construction of a $100 million high school based on perceived faults in the project’s environmental impact report. Served as lead attorney through writ action trial and appeal in Committee for Responsible School Expansion v. Hermosa Beach City School District (2006) 142 Cal.App.4th 1178, a case which clarified public disclosure requirements for Proposition 39 facilities bond measures. Coordinated approval of controversial projects involving stadium facilities, Coastal Zone construction, and eminent domain. Negotiated hazardous soil cleanup agreements with the California Department of Toxic Substances Control for dozens of project sites. Litigated and resolved claims involving tens of millions of dollars in delinquent “pass-through” payments owed by redevelopment agencies to local public entities. Jeremy has devoted a considerable amount of time to pro bono matters. From 2011 to 2012, Jeremy served as both a volunteer and a staff attorney with Bet Tzedek Legal Services, a well-renowned legal aid organization. Jeremy represented Holocaust survivors pursuing claims under German reparations programs and supervised several volunteer attorneys and law students. He has also served as a judge in the UCLA School of Law Moot Court Honors Program, and was awarded the Wiley W. Manuel Award for Pro Bono Legal Services by the California State Bar in 2012 and 2013.